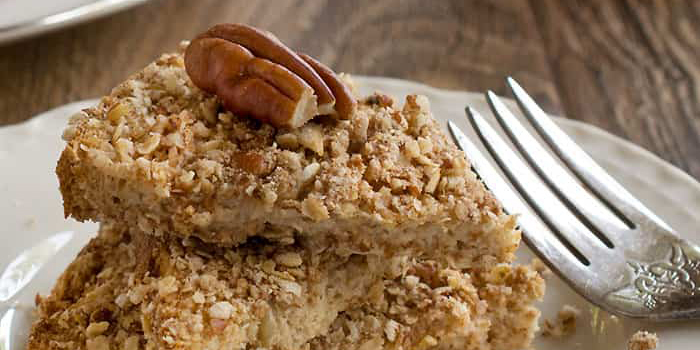 Kathy Hester gives French toast a tasty makeover with this vegan Nutty French Toast recipe. Made in the air fryer, this delicious dish is ready in a matter of minutes! Dennis gave me an air fryer for Christmas in 2015. I was super excited to receive it, but once I got it unpacked and set up on the kitchen counter, I wasn’t quite sure what to do with it. Its maiden voyage was taken while heating up a package of Trader Joe’s vegetable spring rolls. After that I occasionally used it for packaged frozen snacks and French fries, but I wasn’t too sure what else I could do with it. Then my friend Kathy Hester reached out and said she was working on an air fryer cookbook and asked if I’d be interested in recipe testing for it. I jumped at the chance to learn more creative ways to use my handy new gadget. Vegan Cooking in Your Air Fryer is now available, and I’m super excited to share it with you today along with Kathy’s Nutty French Toast recipe! 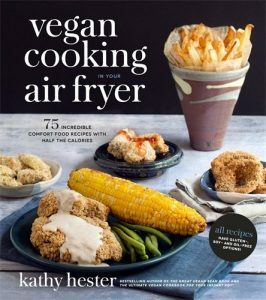 If you’re new to using an air fryer, Vegan Cooking in Your Air Fryer will help you get started. Kathy includes lots of tips and tricks, and she answers just about any question you might have about it. She also shares resources for her favorite air fryer accessories. 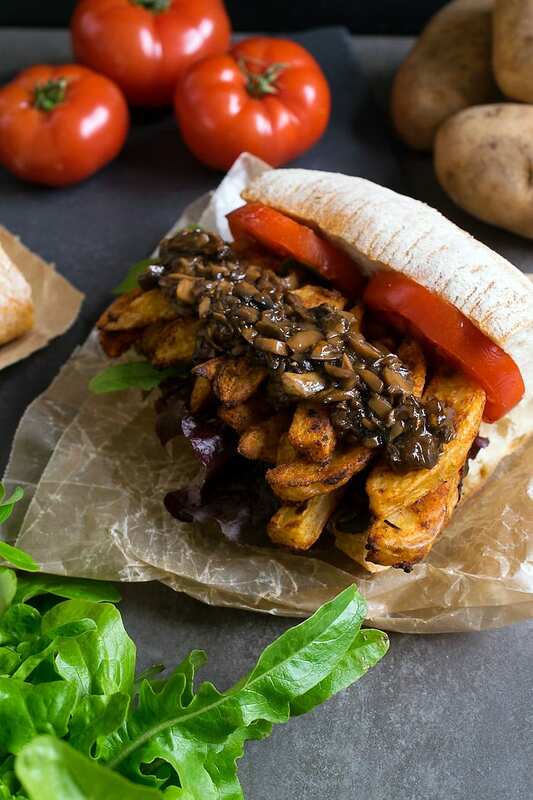 If you’re an air fryer pro and want to dive right into cooking, you’ll be pleasantly surprised to find a wide variety of recipes in Vegan Cooking in Your Air Fryer. 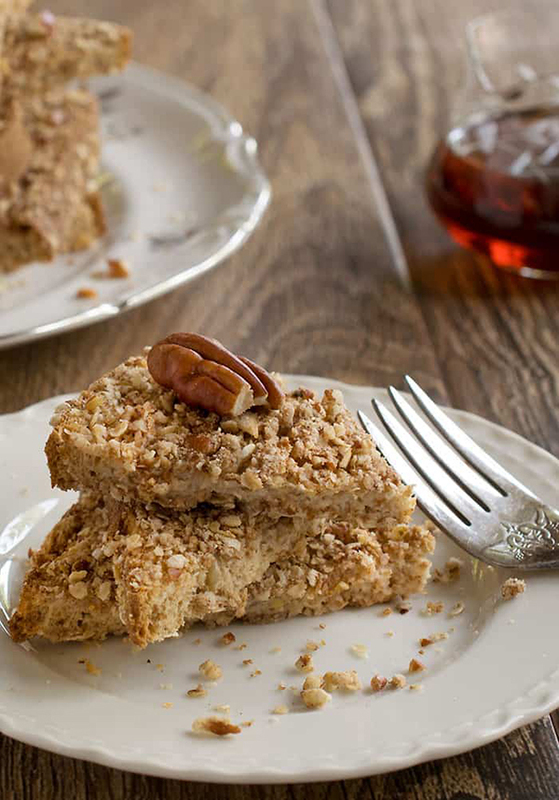 Recipes range from easy breakfast dishes, such as the Quick and Easy Tofu Breakfast Sandwich and Mixed Veggie Hash, to main dish options, including Cajun French Fry Po’ Boys and Country-Fried Cauliflower Steaks –two of my favorite recipes from the book. Did you know that you can bake in your air fryer? You can! I loved the Blueberry Cake for 2 and the Carrot Cake in a Mug. Kathy includes a lot of DIY pantry staples, too, including Extra-Tangy Cashew Cheese and Savory Onion Cream. French toast was a favorite of mine years ago, before I went vegan. I gave it up briefly after I made the transition to veganism, as I didn’t know how to make it without eggs. Since then I’ve discovered just how easy it is to make, and Kathy makes it even easier with this recipe for Nutty French Toast. I absolutely love the addition of pecans! If you have an air fryer, you need Vegan Cooking in Your Air Fryer! French toast is a perfect way to start a weekend. 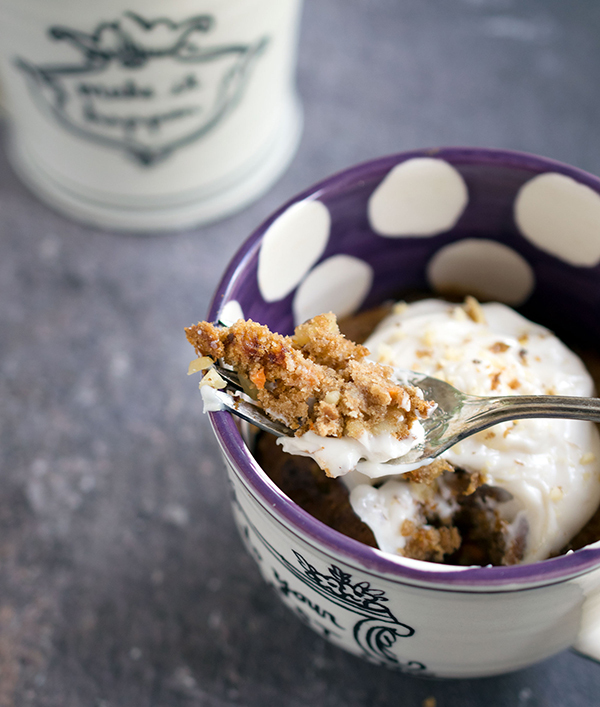 This recipe takes it over the top with crunchy pecans and crispy oats. You can cut the bread into fingers to make them even more fun to eat! Book review reprinted with permission from Dianne’s Vegan Kitchen. Oh my goodnes! Just made this and can’t believe how unbelievable it was! I used (vegan) Ezequiel Cinnamon Raisin Bread and added a couple tablespoons of shredded coconut. I had to air fry for more like 7-8 minutes on each side but that’s probably a matter of personal preference because we like it crispier. I think we will have this for breakfast, lunch and dinner for a while! Thanks so much for taking the time to post this delicious recipe!